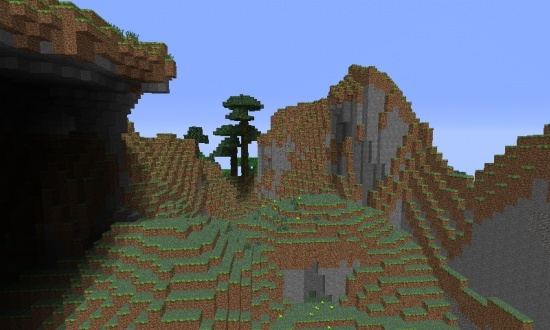 A seed with lots of hills and overhanging cliffs. It looks pretty amazing. The surroundings are mostly landscape but you can find jungle and desert areas close by if you have a look around. You spawn on close to a hill.